For many, the familiar form of AR involves watching your smartphone screen while an app layers additional images onto the real world view displayed through the camera. The Pokémon Go app craze made this kind of AR a household name. Lucasfilm’s Star Wars app launched the Find the Force AR scavenger hunt as part of Force Friday II back in September. Jedi Challenges takes AR well beyond a handheld screen. With the Jedi Challenges app activated, your smartphone slots into a headset. 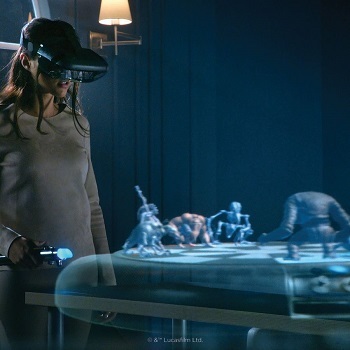 The combination of the app’s 3D visual renderings and mirrors in the headset, combined with a tracking beacon you place on the floor, then creates full-size holograms and life-size characters you encounter in the game. Unlike virtual reality (VR) that fully blocks out the real world around you, though, Jedi Challenges remains in the realm of AR. While playing the game in my living room, for instance, the furniture and framed art on the walls remained faintly visible behind the holograms in the game. This is helpful to avoid inadvertent collisions with objects around you – dodging Kylo Ren’s lightsaber is a good thing, but not if you crash into your bookcase in the process – and makes for the fun illusion of having a holochess table in your house. The AR holograms in the game are vivid and interesting enough, though, that most of the time I found that I didn’t even notice the artifacts of the real world in the background. The most elaborate game mode in Jedi Challenges is the Trials of Combat, which presents increasingly difficult lightsaber opponents. The trials unfold by unlocking progress on a galactic map: beginning on Naboo at the time of The Phantom Menace, then Garel and Lothal from Star Wars Rebels, followed by Hoth during The Empire Strikes Back and Takodana from The Force Awakens, and concluding with the Jedi Temple on Coruscant. Each planet’s trial has three rounds. After successfully progressing through all six planets, players unlock second and third levels, which present similar opponents and scenarios in each round but with much more difficulty to make it through the rounds without succumbing to the onslaught. In the first two rounds your opponents are various types of enemy soldiers, from battle droids and droidekas to stormtroopers and snowtroopers. Defeating them principally involves deflecting and redirecting blaster fire and an occasional Force push or other power. The third round on each planet is a lightsaber adversary: Darth Maul, the Seventh Sister and the Grand Inquisitor, Darth Vader and Kylo Ren, and the Jedi Archivist, respectively. Each duelist has a very different fighting style, requiring you to adjust your defensive and offensive strategies to survive and prevail. The Seventh Sister, for example, is fast and agile, requiring you to adjust your blade quite swiftly to successfully block her strikes. Darth Vader, on the other hand, fights like he does in the Original Trilogy: slow and lumbering, with vicious strokes that are easier to dodge but also significantly more damaging if they hit you, and he is able to absorb considerably more damage to himself before defeat. Moreover, your opponents’ attacks do not follow the same pattern every time, so prevailing against them is not as simple as memorizing a series of lightsaber moves. Success in the Trials of Combat does not come easily, but paying careful attention to each duelist’s style, tactics, and strengths and weaknesses provides the clues to developing a winning strategy against them. In addition, completing the level for a planet unlocks a new Force power. As powers are unlocked, the player has more options to fill the three Force power slots that are available for modification before each attempted round. Insightful selection of these powers can make a big difference, especially in the duels. Force push, for instance, is basically useless against Darth Vader but is much more effective against the Seventh Sister; a power that recharges the player for successful blocks is very valuable against the rapid attacks from the Grand Inquisitor’s fencing style, but less helpful when dealing with Kylo Ren’s heavier slashes. In Jedi Challenges, winning a lightsaber fight is not about brute attacks or mindlessly swinging the blade, but learning how to defeat each round’s different dangers in their own way. The other two game modes are the Trials of Wisdom and the Trials of Leadership. These games are less extensive, having only one level of three rounds for each planet. The Trials of Wisdom teach the player dejarik, with each successive planet adding another holochess piece to the available arsenal. For the most part I found the strategies to win to be fairly easy to determine, generally needing a handful of attempts to beat the round and move on to the next. This made the holochess game fun and relatively easy to advance. The Trials of Leadership is a fairly typical tower-defense style game of the kind common in mobile apps. 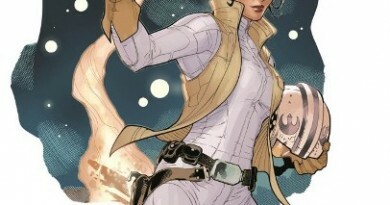 In addition to standard units like troopers and cannons, the game includes hero characters like Obi-Wan Kenobi and Sabine Wren, who can make a bigger impact on the battlefield. Unlike the holochess game, though, this one proved much more frustrating for me. I often ended up stuck on a round and unable to determine why one particular strategy had failed, with seemingly only luck rather than a change of tactics determining when I would lose and when I would prevail. I did not have that trouble with the Trials of Combat or the Trials of Wisdom, where I learned from defeats and could see what to improve on the next attempt. Perhaps this difficulty with the Trials of Leadership came from my relative lack of experience with these sorts of tower-defense strategy games, though, and other players will not find these rounds as difficult to beat. 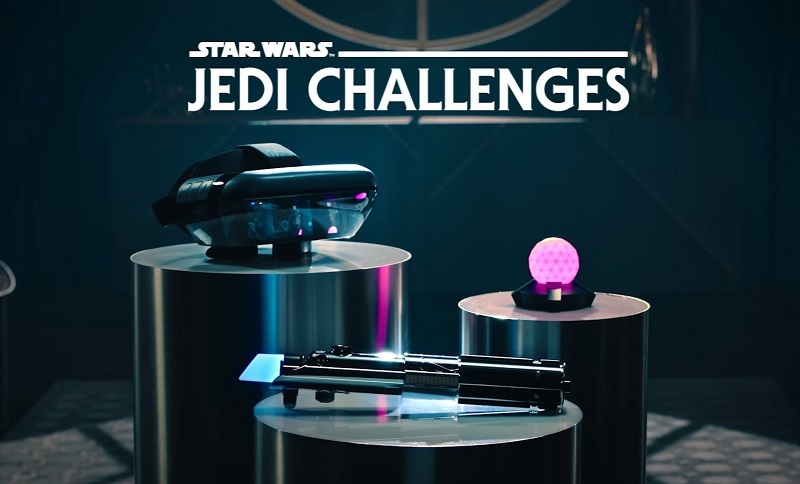 Overall, Jedi Challenges is a fun and entertaining Star Wars AR game. 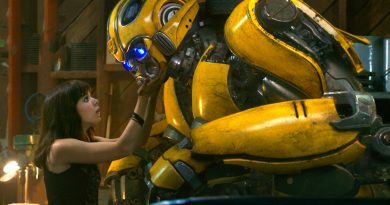 I enjoyed it as a 43-year-old fan, and so did my 13-year-old son. 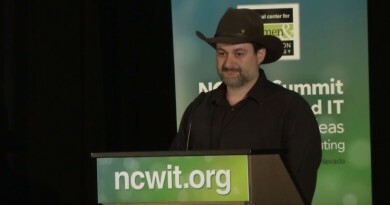 Some aspects of the game were easier for me, though his more extensive background with current videogames certainly helped him move up the learning curve more quickly when we first opened the game. 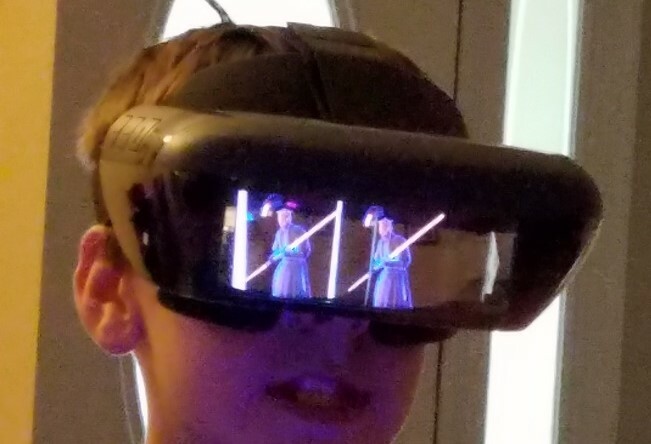 The headset was a good fit and comfortable for me; although the straps held the headset securely enough, the weight distribution made it more cumbersome for my son, especially during the more active lightsaber battles. Both of us found at times that the AR lightsaber did not track our movements quite as quickly as we wanted, which sometimes meant our attempt to block an incoming lightsaber strike failed due to the lag in the technology rather than our own reaction time. This only mattered in the fastest-moving sections of the Trials of Combat, though, and most of the time the tracking was good enough that it did not detract from the AR experience. And I definitely recommend following the advice in the instructions to play the game in as spacious of an open area in your home as you can manage; it was nice to be able to duck or dodge during a lightsaber battle without having to worry about bumping into anything. 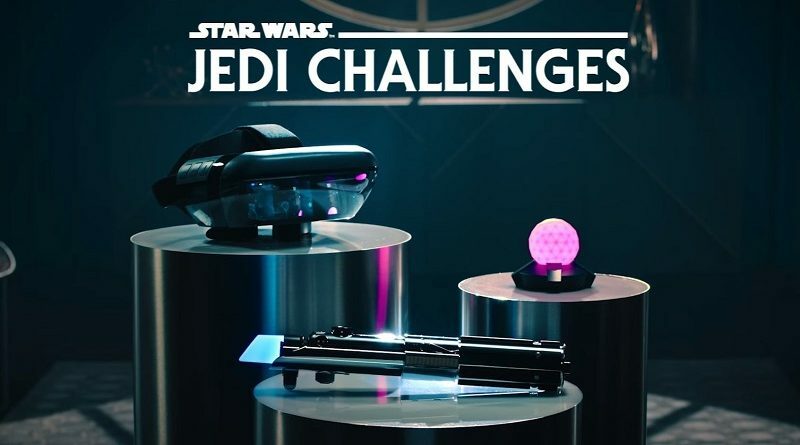 Jedi Challenges retails for $200, which includes the headset, tracking beacon, and lightsaber hilt. The necessary app is free to download, but you’ll need your own smartphone to run the app – and you’ll have to pick a time to play when you won’t be busy with phone calls or messaging, because your phone will be otherwise occupied. Among all three trials, particularly the Trials of Combat and the numerous iterations of duels needed to learn how to beat the harder rounds, we consumed at least ten hours of play time in the week after we opened it, with a good number of rounds we had not yet unlocked. Your dollars-per-hour relative cost will vary depending on how quickly you’re able to beat the rounds and how often you want to replay after unlocking them, but at least for me this isn’t a game I could work through in full in only a couple of hours. And there’s more content to come: Lenovo announced on December 14th that an app update in January 2018 will bring The Last Jedi into the game, including dueling against Praetorian Guards and battles on the planet Crait. Lenovo provided FANgirl Blog with a complimentary Jedi Challenges product for review purposes.